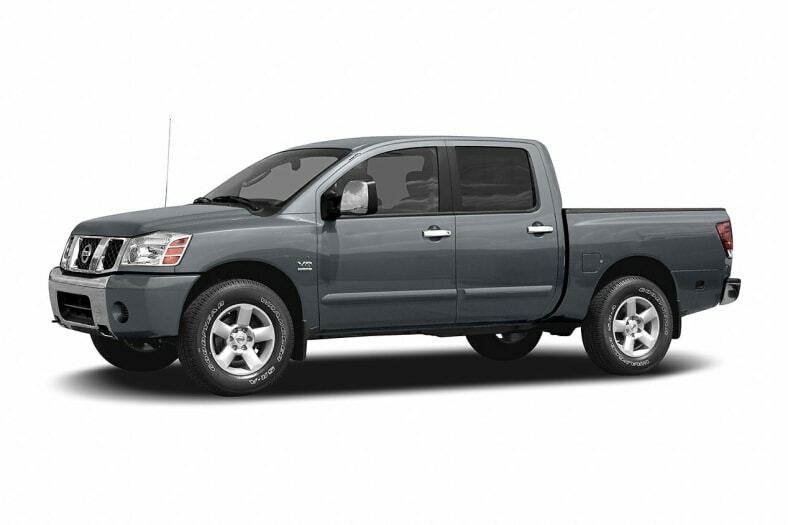 The Nissan Titan features a 5.6-liter V8 and five-speed automatic transmission that deliver dazzling performance. Its handling is equally responsive, making it among the most enjoyable of the full-size half-ton pickups. Brakes, suspension, drivetrain all feel refined. This is a serious pickup that pleases all the senses. Nissan did its homework, benchmarking favored pickups and edging the bar higher. As a result, Titan boasts best in class headroom, best in class torque, best in class interior volume for the Crew Cab, best 4x4 ground clearance, best 4x4 approach angle, largest in class 4x4 tires. Titan can tow up to 9,500 pounds, putting at the top of the class alongside the latest Ford F-150. Clever innovations improve on the traditional pickup. Among them: a factory-applied spray-in bedliner, a C-channel tie-down system for securing cargo and accessories, a stash box integrated into the driver's-side rear fender for storing a tow hitch or other small items. And the rear doors on the King Cab open nearly 180 degrees for quick access. For 2005, Nissan has added a dampened tailgate assist, to reduce effort when opening and closing the tailgate. Active front head restraints are now standard on all models, and the Crew Cab now comes with a power retractable rear window, lending an open-air feeling to the interior. The window features privacy glass and an electric defroster. A new Trac Package for 2WD models includes a locking rear differential and front tow hooks. You say you want an American truck? The Titan was designed in California. It's built in Mississippi and its high-tech V8 is built in Tennessee.